On her new 8th album, Lisa lifts her Joyful, healing, dance-inciting "Zydecosis" up a quantum leap! From rollicking "Who's Your Crawdaddy" to the exhorting "More Than Anything," (dedicated to all those who keep us safe,) this album will take you higher. 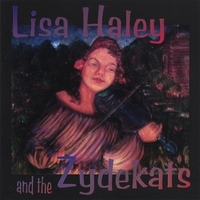 Lisa Haley brings down the walls of Cajun/Zydeco convention with her new album Joy Ride, with a Spirit-filled combination of finesse and bombardment that rewrites audience perception, makes us laugh, cry... and above all, DANCE! 8 Zydeco Pas Salee We performed July 12, 2008 at the Bastille Days Festival in Milwaukee, WI, - smack in the midst of our summer tours. The Zydekats were unaware they were being recorded. We happened to catch this show, featuring one of our most energetic live shows to date! "Best Zydeco or Cajun Music Album"
GRAMMY Nominee 2008 "Best Zydeco or Cajun Music Album." 12 Shenandoah "Lisa has the Spirit in her, big time! Her music just plain grabs you and takes you over!" 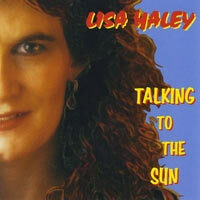 This is Lisa's fourth album, songs reflecting her Zydeco/Christian life. This album was released on Ryko/Warner eight days before 9/11. The resulting tumulteous time for the music business made "Always Be Your Guide" an anthem for hope for America. "That girl plays as good as a man!" - Sir George Martin (Beatles' producer). 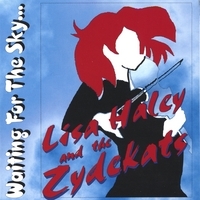 12 Until the Sun This is the first album by Lisa Haley & the Zydekats. Originally intended to be a four-song disk, her World-Class band finished those songs in one afternoon. A live CD of "Americana Zydeco" that will have you dancing on the table. 21st Century Louisiana music at its finest. 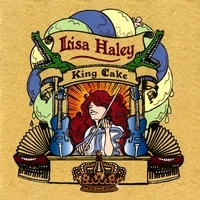 Lisa has worked with Sir George Martin (Beatles producer), multi-Grammy winner KebMo', Brian Setzer, and John Hiatt.